I was sent these products for review purposes. As always all opinions are honest and solely my own. It’s no secret that I don’t wear makeup. Growing up I never learned contouring or how to select the correct colors for my skin tone or any of that. Now that I have a daughter I have to think about what I will do when she gets old enough to wear makeup. She already shows me that she will be wanting to do it all because she won’t go anywhere without her lipgloss (lip balm) and creates all types of beauty hacks using water. What I do know is that I’m a lot more aware of the importance of taking care of my skin now than I’ve ever been before. When I was little we used to mix iodine and baby oil to wear as suntan oil. Now that seems crazy because we know that sunscreen is very important. I know that it is imperative to know what products we put on our skin and learn the effects that they can have now and later. 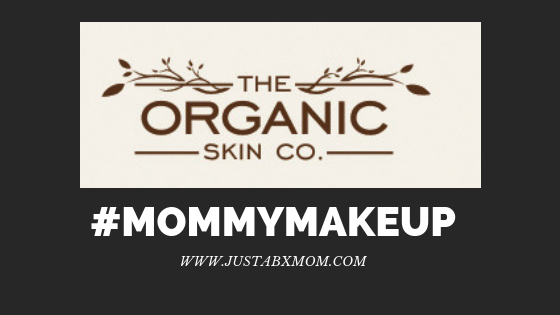 Having this knowledge I was excited when The Organic Skin Co reached out to me to try their products. The Good Oil – Honeysuckle and Turmeric Face Oil – This smells like HEAVEN. If you’re like me you probably didn’t or don’t know the importance of using oils on your face. I’m happy to have been able to be educated on this product. Did you know not only do they make your face feel amazing but they are said to be able protects your skin and reduce wrinkles. And for those that wear makeup regularly, this can be a great primer. Lunar In The Spotlight – Luminizer Pod – Now as a remedial makeup user I NEVER would have known to pick up a luminizer. Apparently, luminizers are real-life filters. They help on those under eye circles. You know, the ones we ALL have no matter how much sleep we get. The right luminizer can also make your skin look healthy and accentuate your cheekbones but please make sure you know what you’re doing when you use this! Cheeky Lips – First Blush – One thing I have always used was lip coloring. Receiving one that could also be used as a blush was really cool. This one is so light it doesn’t even feel like you’re wearing anything. I like this color a lot because it’s almost a peekaboo, is she wearing is she not kind of thing. Keep an eye on my social media to see if you can spot when I’m wearing these! Have you worn makeup always? How did you learn to use it? How do you pick brands?